What are the Sustainable Development Goals (SDGs) ? These 17 Goals build on the successes of the Millennium Development Goals (MDGs) which ran from 2000 to 2015. 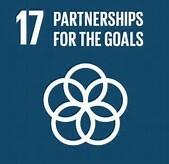 The SDGs are 17 goals tackling major world issues agreed by 193 UN member states to be achieved by 2030. 169 targets underpin the 17 goals. ​We are contributing to the United Nations' Sustainable Development Goals by transforming lives through access to e-Learning and providing quality education. We align ourselves mainly to the goals mentioned below however the goals are interconnected often the key to success on one will involve tackling issues more commonly associated with another. ​Ensure inclusive and equitable quality education and promote lifelong learning opportunities for all. Access to e-Learning facilitates the provision of quality education and this is the foundation to improving people’s lives and sustainable development. Providing women and girls with equal access to education, health care, decent work and representation in political and economic decision-making processes will fuel sustainable economies and benefit societies and humanity at large​. Sustainable economic growth will require societies to create the conditions that allow people to have quality jobs that stimulate the economy while not harming the environment. Access to e-Learning increases job prospects, life opportunities and a brighter economic future. Global Partnerships for sustainable development based on spirit of strengthened global solidarity. Collaboration brings better results and we are committed to working with our partners to transform the provision of quality education.